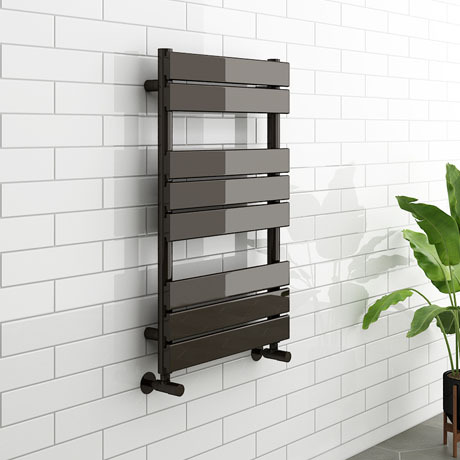 The 800mm high Milan single panel heated towel rail is an excellent addition to the Milan range, features a classic timeless design. Manufactured from durable steel with a straight profile and finished in a dark yet shiny black nickel this luxury stylish ladder type towel rail brings a real quality finish to any bathroom. Provides superb heat output which will gently warm towels and your bathroom or cloakroom. Please note: Images are for illustrative purposes only.